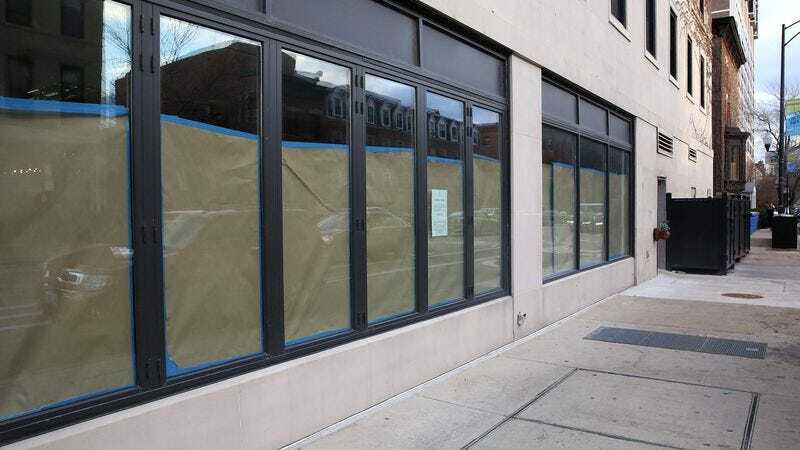 BROOKLYN, NY—Six months after going out of business as Sherelle’s Salon, a closed storefront in the rapidly gentrifying neighborhood of Crown Heights was on the verge of emerging from its chrysalis as a beautiful gastropub, sources confirmed Tuesday. “It’s so exciting to watch the transformation—I’ve been peeking through the papered-over windows, and bit by bit you can see a cute little spot for creative comfort food taking shape,” said neighborhood resident Jessica Tasker, who since moving into a nearby renovated condominium has eagerly observed several businesses at different stages of metamorphosis. “I think I can see a bit of the open kitchen forming. It’s amazing to think that in just a few weeks, it’ll develop a full wood-fired oven for its peasant flatbread pizzas. Oh look, that must be a cask of small-batch whiskey! It won’t be long now.” At press time, the gorgeous gastropub had fully broken free from its casing, and there was at least a 90-minute wait to see it.